The Loveliest Village of the Plains looked like the Little Town of Bethlehem for a little while late Saturday morning. 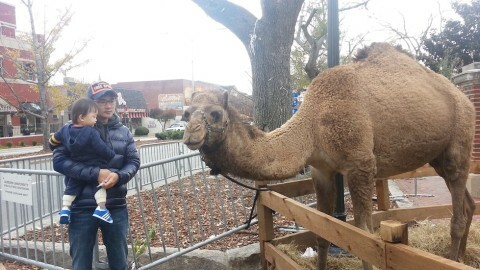 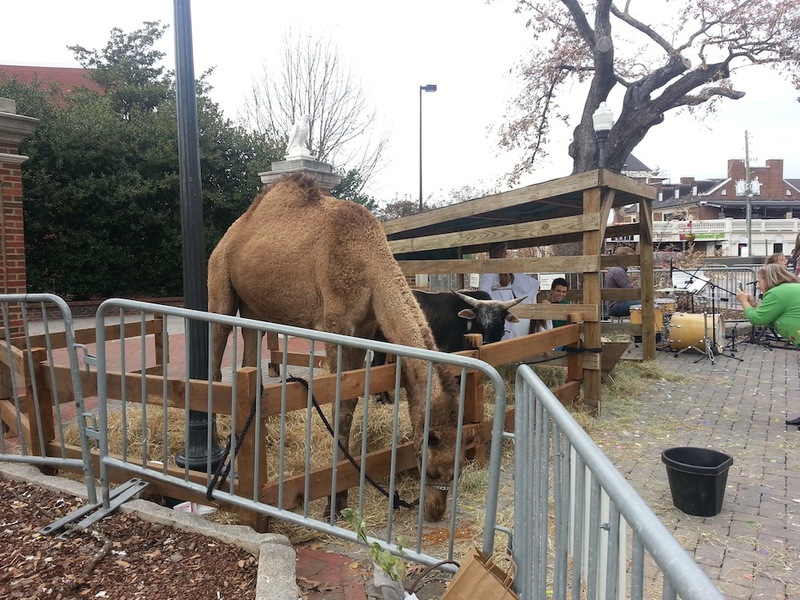 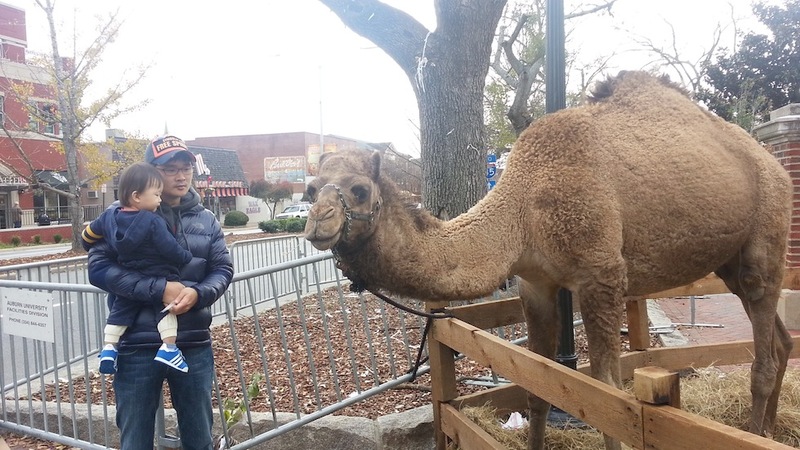 Christmas Carolers and a live nativity scene–including a camel and some other beast–set up shop at Toomer’s Corner as part of the City of Auburn’s annual Christmas parade. 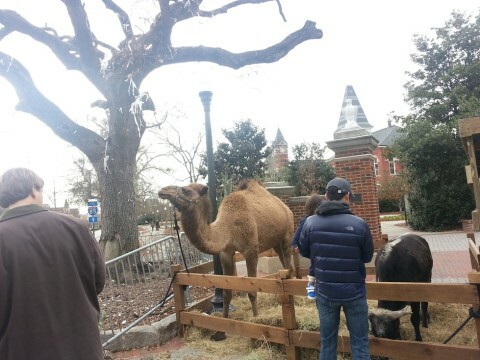 Related: White Christmas at Toomer’s Corner.